Just minutes from anywhere, right off I-75 exit 166. Our Low Overhead Means We Can Sell For Less!!! Come Experience the MARSHALL WAY, At these low prices our vehicles sell fast!!! Call, Email ahead to reserves yours now!!!! 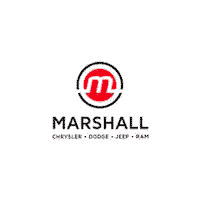 859-824-3300, New Car Manager Email Jsmith@marshallcdjr.com *** MUST FINANCE WITH MARSHALL Chrysler Dodge Jeep and Ram of Crittenden KY, to receive advertised pricing. *** $5,195 off MSRP! 17" x 7" Painted Aluminum Wheels, Cloth Bucket Seats, Deep Tint Sunscreen Glass, Popular Appearance Group, Quick Order Package 2BJ, Radio: Uconnect 4 w/7" Display, Roof rack: rails only, Speed control, Stop-Start Multiple VSM System. 2019 Jeep Cherokee Latitude 2.4L I4 At these low upfront prices our vehicles sell fast! Call 859-824-3300 to confirm vehicle is still in stock! Marshall CDJR is located only 20 minutes south of Cincinnati, Oh! $5,195 off MSRP! Includes Lifetime Powertrain Protection, Cherokee Latitude, FWD, 17" x 7" Painted Aluminum Wheels, Cloth Bucket Seats, Deep Tint Sunscreen Glass, Front fog lights, Fully automatic headlights, Popular Appearance Group, Quick Order Package 2BJ, Radio: Uconnect 4 w/7" Display, Rear window defroster, Remote keyless entry, Speed control, Stop-Start Multiple VSM System, Telescoping steering wheel, Tilt steering wheel. 2019 Jeep Cherokee Latitude 2.4L I4 At these low upfront prices our vehicles sell fast! Call 859-824-3300 to confirm vehicle is still in stock! Just minutes from anywhere, right off I-75 exit 166. Our Low Overhead Means We Can Sell For Less!!! Come Experience the MARSHALL WAY, At these low prices our vehicles sell fast!!! Call, Email ahead to reserves yours now!!!! 859-824-3300, New Car Manager Email jrbaker@marshallcdjr.com *** MUST FINANCE WITH MARSHALL Chrysler Dodge Jeep and Ram of Crittenden KY, to receive advertised pricing. *** $3,250 off MSRP! 4D Sport Utility, 17" x 7" Painted Aluminum Wheels, Cloth Bucket Seats, Deep Tint Sunscreen Glass, Electronic Stability Control, Popular Appearance Group, Quick Order Package 2BJ, Radio: Uconnect 4 w/7" Display, Speed control. 2019 Jeep Cherokee Latitude 2.4L I4 At these low upfront prices our vehicles sell fast! Call 859-824-3300 to confirm vehicle is still in stock! All prices are plus tax, title, license, and a $499.00 documentation fee. Marshall CDJR is located only 20 minutes south of Cincinnati, Oh! $4,709 off MSRP! Includes Lifetime Powertrain Protection, Cherokee Latitude, 4D Sport Utility, 17" x 7" Painted Aluminum Wheels, Brake assist, Compass, Deep Tint Sunscreen Glass, Front Bucket Seats, Front fog lights, Fully automatic headlights, Heated door mirrors, Illuminated entry, Outside temperature display, Panic alarm, Passenger vanity mirror, Popular Appearance Group, Power door mirrors, Power windows, Quick Order Package 2BJ, Rear window defroster, Rear window wiper, Remote keyless entry, Roof rack: rails only, Split folding rear seat, Stop-Start Multiple VSM System, Telescoping steering wheel, Tilt steering wheel. 2019 Jeep Cherokee Latitude 2.4L I4 At these low upfront prices our vehicles sell fast! Call 859-824-3300 to confirm vehicle is still in stock!